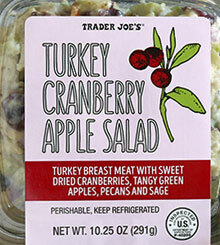 Several Trader Joe’s salads have been recalled due to potentially containing pieces of glass/hard plastic. All of the relevant at-risk salads have been completely removed from store shelves (and destroyed! ), so you don’t need to hold off on buying any version of these that you see still being sold at TJ’s. 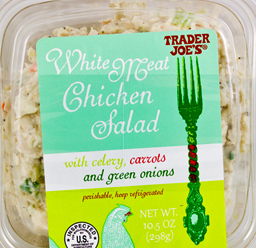 If you bought one of these salads in a different state than the ones listed, or with a different Use By date or “Inspected” code, it’s perfectly safe to eat (so enjoy and leave a review!). Did you buy one of the affected salads? You can return it to your local TJ’s store for a full refund. 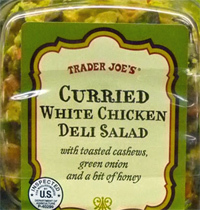 You can check out the official Trader Joe’s recall announcement here. I went looking for Trader Joe’s Gingerbread bars this year and came up empty handed. What happened? They were absolutely yummy! Like a gingerbread brownie!!! Will they ever make a return engagement?